What do you use for your life's compass? No matter how insightful, wise, experienced, or knowledgeable we may be, only God can guide our steps properly. God asks us to trust him and his wisdom even when we can't immediately see the rationale behind it. He wants us to recognize his presence, guidance, and grace in all we do. As we trust and as we acknowledge his presence, we suddenly realize that our paths are a lot straighter and our destinations are a lot a closer. 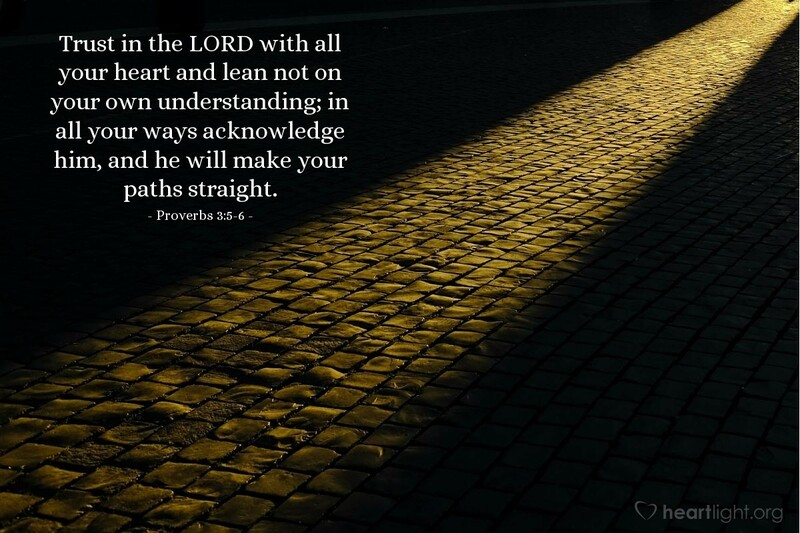 Abba Father, please give me courage to not lean on my own understanding. I know my thinking can be flawed and what I intend for good can blow up in my face. Please bless me with wisdom and insight as I seek to live for you in today's confusing and immoral world. In Jesus' name. Amen.